In April this year the US Commerce Department reported that before-tax corporate profits in 2013 totaled $2.1T and that corporate tax revenues totaled $419B. That is an effective tax rate of 20%. But wait a minute. I thought the corporate tax rate in the US was 35%! What made me think of this issue just now was an inspiring business story in The Atlantic (Nov 2014) about Boston Beer Company, producer of Sam Adams Beer. I learned about Sam Adams beer and its unique taste while at MIT in 1989-90. It was still a local beer, total volume around 100,000 barrels a year, but rapidly gaining popularity. The company was founded by Jim Koch (pronounced Cook, not Coke) in 1984, went public in 1995, ticker SAM, languished for about three years at $10 or so a share and is now at about $224 per share. Mr. Koch is a happy billionaire. According to the writer, James Fallows, Koch not only became rich but “opened America to a craft beer renaissance,” preventing growth in imports while creating thousands of well-paying blue collar American jobs. These sentences raised several questions in my mind. They made me wonder how much of Mr. Koch’s success was due to special favors granted by the IRS. 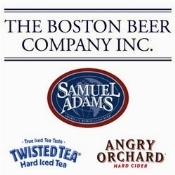 They made me wonder how much tax Boston Beer is paying compared to larger competitors. They even made me wonder how in the world the IRS ever got the power to apply different tax rates to companies based on size or any other criterion. I looked up the 2013 financials for Boston Beer and two of its big rivals. It certainly doesn’t look like the feds are showing little Boston Beer any favoritism. I am currently accepting nominations for a more ridiculous set of circumstances than a national corporate tax rate of 35%, corporate tax collections of 20%, and three competing companies the smallest one paying taxes at a rate of 37%, the middle sized one at 13%, and the giant one at 11%. I’m certain the accountants at all three companies can give very accurate if not informative and understandable reasons for their respective tax rates, but nothing they say is going to improve the image or reputation of corporate America. The fact is, however, that the blame lies not with businesses trying legally to play the tax game, following the rules established by Congress. It lies with Congress which has established an artificially high corporate tax rate and routinely accepts campaign money and votes, not to mention meals, trips, and drinks, in return for concessions that support and motivate a huge lobbying industry seeking favors for companies willing to pay the bills. I know Congress will claim it is acting in the best interests of the USA, but I don’t believe it. It is deep and pervasive corruption, even if legal, and should be stamped out. It would be so easy. Simply establish the corporate tax rate at 20% of earnings, local or international, reported to shareholders according to GAAP, payable quarterly to the federal treasury, and eliminate ALL exclusions, deductions, credits, exemptions, and allowances. Lobbyists can find real work, Congress can work on real issues, and businesses can turn their attention to business strategy and customer satisfaction and away from the tax game. I believe it would revolutionize our economic system and our political system, and we would see both profits and taxes begin steady growth even as negative political campaign ads disappear. I have no idea what all the superfluous tax accountants and IRS employees would do, but they are bright folks and would come up with something productive, perhaps turning their skills to business strategy development or charity work.